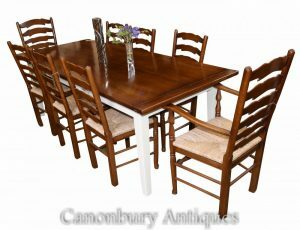 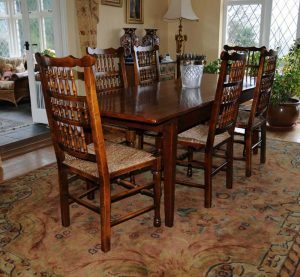 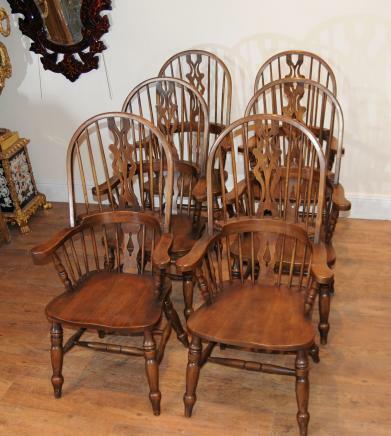 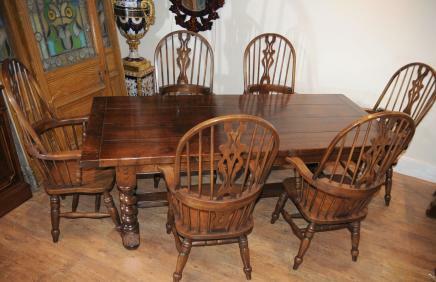 A great-looking set of English extendable refectory table and six ladderback chairs. 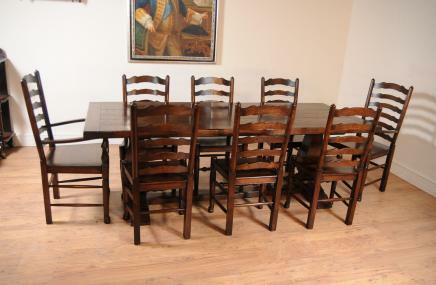 The table can stretch to accommodate 10 seats. 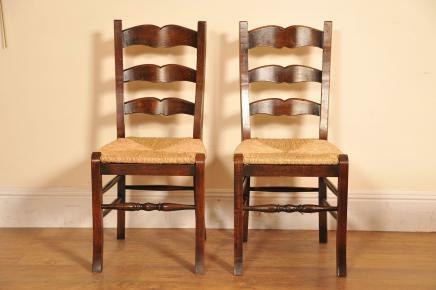 The set is finished in oak. 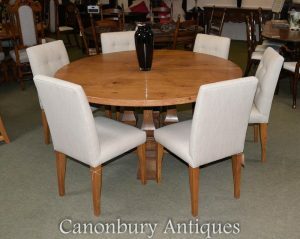 Buy it from our Hertfordshire antiques showroom. 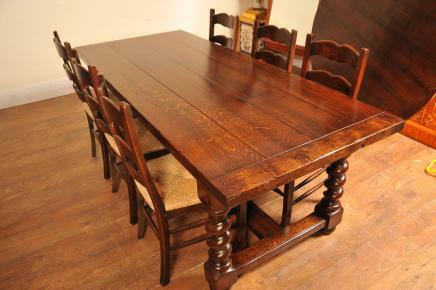 Available in good condition, so place your order and we’ll ship to anywhere across the globe.